Maneula could not have been more helpful when I stopped by yesterday with two vehicles full of things for storage. She showed me the alternative storage areas available and helped me select the best one for my needs. I start off being a very happy customer. Kristina Strickland really came to our rescue more than one occasion. She not only provided us with a storage unit but made sure it fit our needs. We later returned to rent a second unit. The security is top notch and the units are extremely clean. I highly recommend Storage Xxtra and any day talking to Kristina is uplifting. customer service was great and i couldn't be happier. The customer service is amazing, thanks for your help. Kristina spoils us here. She has been very helpful and wonderful I would recommend to anyone to store here you will not be disappointed. Very easy to rent a unit. Straightforward pricing for the unit and any fee associated with the rental process. The Stoage XXtra facility in Cross Country Plaza is awesome! The building is very clean, secure and user friendly! The wide doors made taking items in easy and fast. I can't image putting my valuable furniture anywhere else! Clean space, safe/convenient location, and fantastic customer service! We were looking for storage space to store furnishings while remodeling. Found the perfect space at Storage XXTRA! Very clean facility, easy access, safe location (well lit), excellent customer service, and at the right price. Signing up was a breeze. The staff made it easy for us to complete the forms electronically while on the road. Thank you! I would strongly recommend this storage facility. I read the reviews and they were right, great service! I was searching for a storage space. Initially I went to the Floyd Rd. location where Mr. Forest advised he did not have what I was looking for but the new office would and too see Stephen, he would take care of me. I didn’t know about the new area in Cross Country but Stephen and his fine staff did not disappoint! When I arrived to secure my storage I ended up being there past closing (my fault) but I was never rushed nor was I made to feel like I was inconveniencing them in any way. If you are looking for a safe a secure place to store your items see Stephen and his team they are A1 hands down! They blew my mind, great deal! I had called several storage facilities in the area and no one could fit my needs. 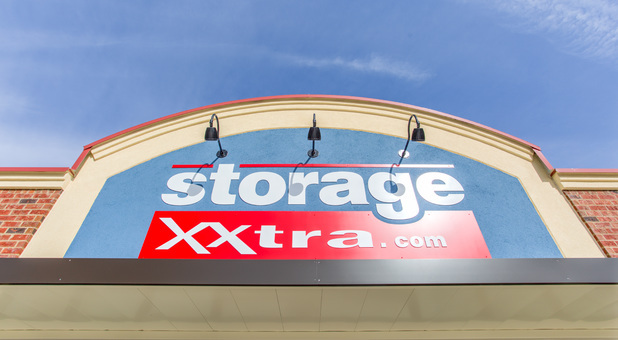 Storage Xxtra had a unit ready to go and it was excellent, clean, and the right size I needed. They offered me furniture dolly's for free as well as a truck if I needed it. I went to U-Hual and they gave me the run around for an hour. They reserved a unit and confirmed it was available and when I got there it wasn't. I called Storage Xxtra in front of them and took my business here. The unit was clean and the hallway was cooled inside. I'm very happy with my decision to rent with Storage Xxtra. Extremely helpful and accommodating to our needs. Professional and friendly. The team is incredibly helpful, great communicators, and very supportive of our unique needs.